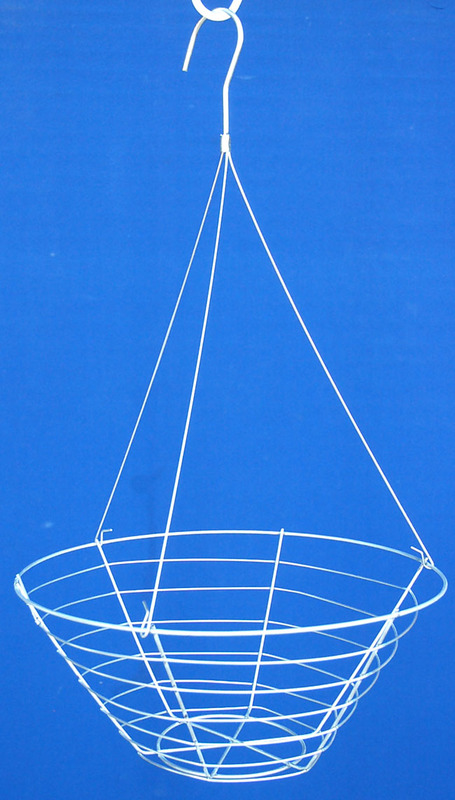 Home > WIRE HANGING BASKETS - WIRE BALLS - WIRE SPHERES - WIRE BALLS > Wire hanging basket 16"
This multiple weld planter comes with 3 strand galvanized wire hanger. 8" deep. Wrap around wire spacing 1.5" to 1.75".